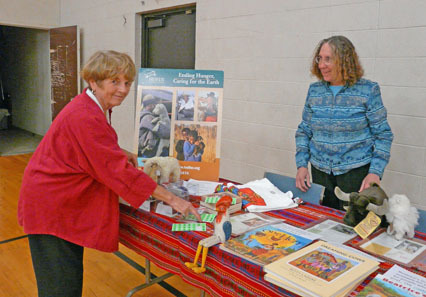 On Nov. 13 Napa Heifer volunteers staffed two gift fairs--one at the First Presbyterian Church and the other at Convent Presbyterian Church. The events raised funds and awareness for Heifer and were very successful with numerous animals (both real and stuffed), books and ornaments purchased, and information presented. Another alternative gift fair will be on Sunday, December 4, from 10:30 to 11:30 a.m. at the First Methodist Church in Napa. 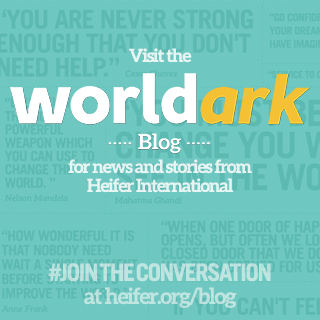 Also on Saturday, November 26, from 1 to 3 p.m. there will be a Heifer display and book sale at Copperfield's Books, 3900 Bel Aire Plaza, in Napa. 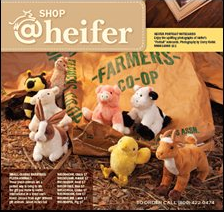 Monday, December 5 through Saturday, December 10 there will be a Heifer Book Display in the Children's Room, Napa County Library, 580 Coombs St., Napa. 0 Response to "Napa News Alternative Gift Fairs"